It should come as no surprise that “augmented reality” – the technology that overlays virtual layers of data upon the real world – could be useful for journalism. If Yelp’s augmented reality application downloaded to your smartphone can generate a digital screen with ratings and reviews of a restaurant even as you enter it, it’s not hard to envision a time in the future when your handheld could offer real-time news from your surroundings, almost as it unfolds. Not surprisingly, news organizations are jumping on the bandwagon. In the past couple of months, Esquire magazine in the US and Wallpaper in Europe unveiled fancy “augmented reality” editions. Robert Downey Jr. came to life on the cover of Esquire, and videos and animation augmented text through the pages of Wallpaper. Last summer, Popular Science used a GE-powered augmented-reality feature with 3-dimensional wind turbines on its cover. While all of this is “cool,” allowing publications to improve reader experience and perhaps, revenue, by providing interactivity and entertainment, none of them specifically utilized the potential of augmented reality to enhance delivery of serious content, as the Guardian’s Mercedes Bunz eloquently pointed out. While these publications have provided a good prelude to how the technology can be utilized, news organizations should segue into actually doing journalism with augmented reality instead of merely offering it as dessert. One of the obvious uses of the technology would be in the reporting of live events. This has particular relevance in planned or staged events, which can range anywhere from international climate summits to polling booth stats to reporting from live games, and by extension, perhaps, award shows and concerts. Similar to the superimposed first-down line on NFL football fields, which has often been used to describe how augmented reality can overlay virtual information on real objects, stats about the distance of a quarterback’s pass, the speed of a tennis player’s serve, exit poll results on election days, or data released at international summits can be virtually generated so people can view them on their smartphones even as the event transpires. Another way to utilize the technology more relevantly for journalism is a method employed by the company Moving Brands for its paper, Living Identity. Holding up the print edition of a story in front of a webcam in this case generates a live feed of the latest news and updates about the content in question. Such an integration of various forms of media might indeed be one of the biggest benefits of the technology – allowing users to engage and interact online through special tags and markers in the print product would enable news organizations to not necessarily charge for online content, but offer additional features accessible only through the print version. This might be an avenue to generate profit for an otherwise dying print product. Augmented reality thrives on hyperlocal content, as seen by applications like Yelp’s Monocle and Mobilizy’s Wikitude, which can offer a user facts on a restaurant or site of interest, based on his location. Such applications utilize a smartphone’s GPS coordinates in conjunction with localized data garnered from the Web in order to provide information. If you can wave a smartphone in front of the Niagara Falls to get stats about the popular destination, why not point it in the general direction of a location of interest and generate a digital screen of the latest news from the region in question? It would be nice to see publications invest in providing local, breaking news through applications downloaded on smartphones, for instance. This would also allow national publications to “localize” themselves. Some radio stations already do this by providing news and traffic updates based on the location of a user’s handheld device. Another important point to note is that many augmented reality apps are based on social sites, so much of the content for data points is user-generated; Wikitude even allows users to integrate to their Facebook and Twitter accounts, thus making the application socially aware. This concept brings up a whole host of possibilities for news organizations to not only provide more local information to readers, but also to seek user-contributed content. The New York Times, rightly taking a leaf out of the books of these companies, plans to implement augmented reality for its movie and restaurant reviews. While it’s at it, what the Times might also consider is reader input. It would be cool to whip out a mobile phone and see what Sam Sifton has to say about a restaurant, but in keeping with the ways of social media and technology, it would be somewhat wanting if users aren’t allowed to offer their own views and ratings. Augmented reality also allows an interactive, engaging way for publications to explain background and concepts for issues they report on. Mainstream media entities like the Times and the BBC, and independent online startups like Flyp media have effectively used multimedia to elaborate on complex principles – from climate issues to African history. Augmented reality could add a new dimension, quite literally, to this format of content delivery, without a reader having to navigate hyperlinks or popup windows. In addition, it can enhance charts and graphical representations of information and localize them to make them more pertinent to a reader. Layar, the first-ever augmented reality browser, has developed an application that can help users track bailout money that was given to US banks by the Obama administration, for instance. News organizations would do well to augment their reporting in similar fashion; reading about a big bank miles away from where readers live can be informative, but knowing that a local company received federal money is often more relevant to people. Apart from content, however, augmented reality’s more important potential might be in the area of revenue generation. Despite being a brainchild of technology, one essential factor in case of both the Esquire and Wallpaper augmented-reality issues is, of course, that readers need to have a print edition of the magazine to be able to experience the features. In addition, the features are interactive and engaging, and regardless of whether they offer exclusive information, they have the potential to keep readers riveted. Much has been said about the success of rich media ads in driving purchase intent; augmented reality can and is providing more effective strategies for advertising. In addition to making advertisements fun and engaging, publications could also use the technology to provide targeted advertising, which would be less rather than more disruptive for the user. In a simple case, only users interested in purchasing that BMW would hold up the print ad in front of their computer screens to generate a virtual car that shows off all its features, for instance (though who in their right mind wouldn’t want a digitally-generated Z4 to zip in front of their very eyes?). The great potential of this technology for advertising is already being seen, as more and more brands jump on the augmented reality bandwagon. In fact, companies have perhaps implemented it most innovatively and effectively in order to help consumers get a real sense of the values and functions of their products. 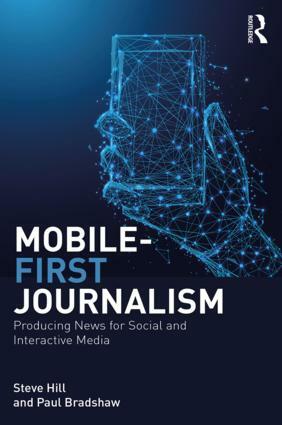 With the growing number of paid smart phone apps, news organizations are beginning to understand that the audience is more likely to pay for technology than for content. Augmented reality (and mobile phones) have a long way to go before the technology can become mainstream, but it certainly has the potential to be one of several revenue streams that the media can begin to employ. What augmented reality can do above and beyond everything else is make information relevant and tangible to a reader or viewer. For years, media puritans have worried about the Internet causing fragmented communities, and taking citizens away from their local communities. Smartphones enabled with augmented reality might be the answer to bridge that divide, as they provide a necessary interface between the real and virtual realms, offering as they do virtual information in a very real world. Geotags and location-aware digital maps not only unleash Web 2.0 information in front of the user, but also keep him or her firmly rooted to the ground he’s standing on. 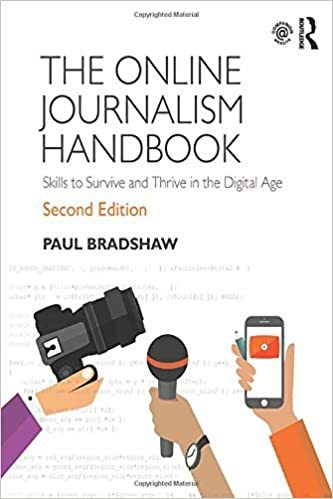 This entry was posted in online journalism and tagged applications, augmented reality, Hyperlocal, karthikaswamy, mobile phones, revenue generation, social media, technology on February 3, 2010 by Paul Bradshaw.